Mamas, we’ve been meaning to mark this important item off of our “should do” list for a long time. And we’re SO glad we finally did it. Last Saturday we took a self-defense class — FAST Defense of Fayetteville — and it.was.amazing. Randy and Darcy are also parents to five daughters, so they know how important it is to send girls and women out into the world with the tools they need to help protect themselves. 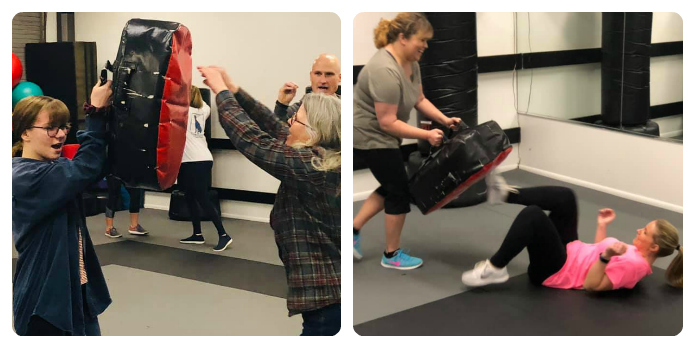 Our 10-person self-defense class consisted mostly of mothers, along with two grandmothers and three 14-year-old teenagers. 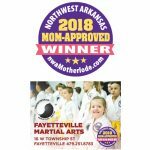 There were also two male assistants in the class, one of whom is a police officer for the Springdale Police Department and an accomplished martial artist who trained at Fayetteville Martial Arts. 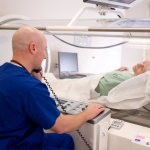 The class itself is taught nationwide by certified instructors, and it’s called F.A.S.T. Defense — Fear Adrenal Stress Training. It was named the “Best Women’s Self-Defense Program” by Black Belt Magazine. One of the things Shannon and I liked most about this class is how it gave us not only lessons on what to do physically in case of an attack, but also what to do verbally and with our body language to help prevent a situation from becoming physical. The classroom atmosphere was relaxed and supportive, and we loved how Darcy stayed right over our shoulder, helping us implement the defense strategies the instructor gave us. One of the main goals of the class is to teach people how to how to avoid “freezing” in a dangerous situation and instead fight (when necessary) and get away from the threat. Click here to read more about the science behind the way this class is structured. There is also a kid-version of this self-defense class called FAST CATS — Child Assertive Training Series. 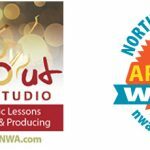 It’s aimed at kids ages 6 and up and focuses on dealing with threats from child predators and bullying. 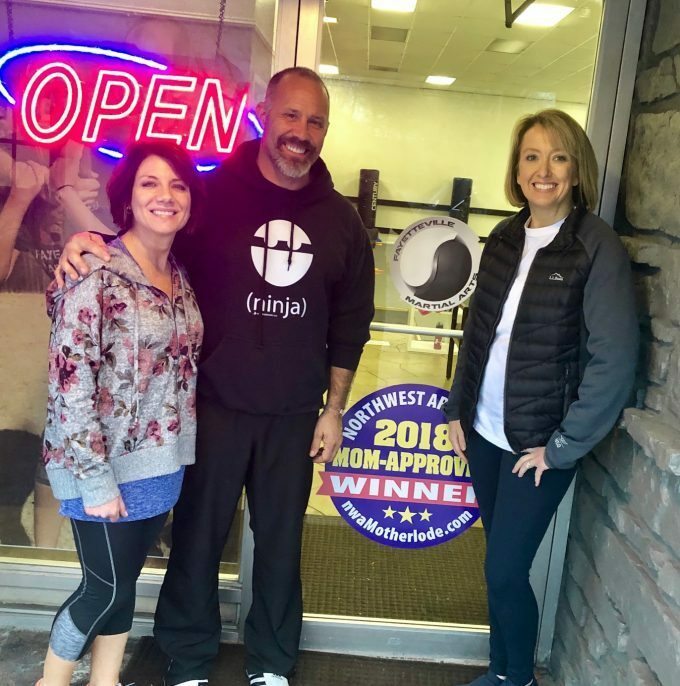 Private group sessions: Talk to Randy and Darcy about scheduling a private self-defense class for a group of your friends, neighbors, moms’ group, church group, teen youth group, co-workers, etc. 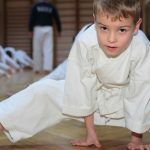 Upcoming class dates: There is a FAST CATS class for kids coming up on February 9, 2019 at 1:30 p.m. 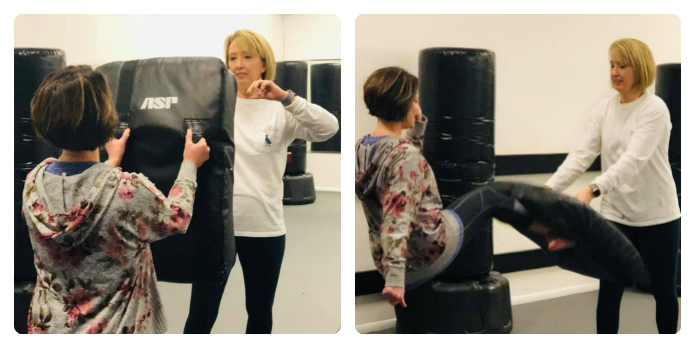 The next scheduled teens/adults class will happen in July 27, 2019 at 1 p.m.
For information about reserving a spot in a self-defense class, call Fayetteville Martial Arts Studio at 479-274-8314. You can also visit their Facebook page to get ticket information for a self-defense class.